If you’re interested in buying a franchise it can be difficult to decide what franchise you should buy. There are many great options out there. If only there was a handy franchise list to consult. That’s where Be the Boss can help. 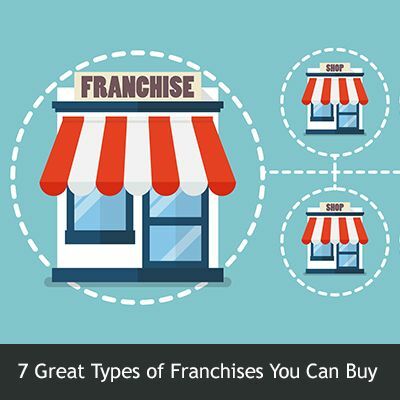 Here is a list of seven great types of franchises available for purchase. If you’ve ever had to move house you know what kind of a burden it can be. Both literally and metaphorically. Anybody who has a little bit of money and little bit of sense knows that it’s worth their time and money to hire professional movers. People move house in the city, suburbs, and rural areas. Movers can help with residential jobs as well as businesses that move, so there’s a lot of work to be had. The second item on our franchise list is a fitness. The world has never been more health conscious than it is today. There are several reasons for that. More jobs than ever are sedentary office jobs, so people need exercise. The Millennial generation is particularly interested in looking and feeling fit. And as a society, we are beginning to correct decades of unhealthy living habits. All of this means that fitness centers and gyms are in demand. Fitness is about feeling good but it is also about looking good. For better or worse, we all want to look our best. Everybody now has a camera on their phone so maybe we are a little bit more superficial today. But that’s OK. Cosmetic franchises offer affordable and non-invasive treatments to freeze fat away, reduce wrinkles, and much more. And that’s why they’re on this franchise list. Everybody knows that the huge Baby Boomer Generation are entering their senior years. Seniors require more care and assistance than do other age groups. As such, senior care is in great demand. Senior care has also diversified in recent years. This means that a senior care franchise can focus on running facilities and communities for seniors or on providing care for seniors in their own homes. Or both. No franchise list would be complete without QSRs. “QSR” stands for “quick service restaurant”. These convenient, fast restaurants are in many ways the classic franchise. You can buy a traditional QSR, a healthy QSR, a QSR dedicated to specific ethnic cuisine, and many more. Number six on our franchise list are tax service franchises. Taxes are a real drag; nobody likes to do them. The more money somebody has, the likelier they are to hire somebody else to do their taxes. But also, the likelier they are to need the help of a professional tax service. Taxes are hard. Tax services franchises make them easy. Rounding out our franchise list are automotive repair Most American families own at least one vehicle and there are more vehicles on the road today than ever before. And all these vehicles require repairs and maintenance. All the data and economic forecasts point to growth for automotive repair franchises.